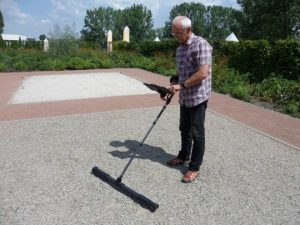 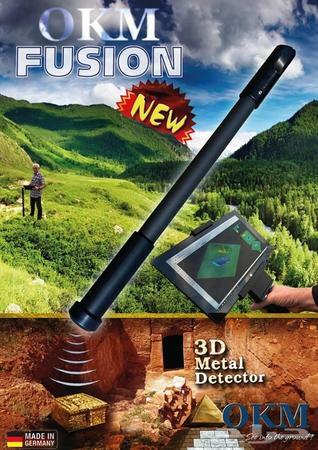 The OKM Fusion is our redesigned and improved version of the Future 2018 metal detector. 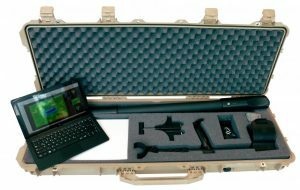 It has been designed for starters in the field of 3d measurements and offers easy operation as well as advanced scanning features. 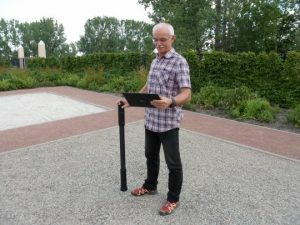 The 3d ground scanner OKM Fusion supports treasure hunters, gold seekers, adventurers and archaeologists to discover lost treasures, buried artifacts, hidden places and other historical items. 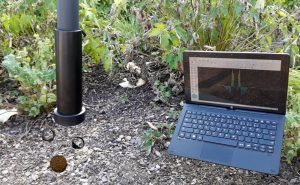 The Professional Plus version of OKM Fusion can be used in vertical (Live Sound, Ground Scan, Live Scan) and horizontal (Ground Scan, Live Scan) orientation. Mounted at the end of OKM’s Fusion is the SRIS search coil, that can be used as pin pointer for small shallow targets. 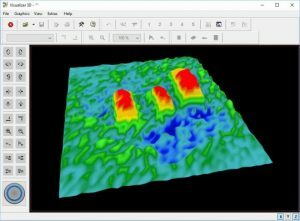 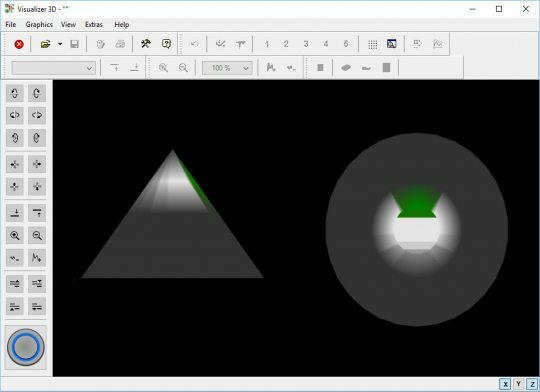 While scanning an unknown area and recording the measure values, the Visualizer 3D software can immediately analyze and visualize this information to display a color-coded 3d graphic of hidden objects and structures. Thus you will literally “see” all buried treasures, gold objects, archaeological artifacts and any other hidden objects before digging.